Our Products >> Road & Traffic Signs >> Custom Business Parking CUSTOMIZE THIS SIGN! Custom Business Parking CUSTOMIZE THIS SIGN! 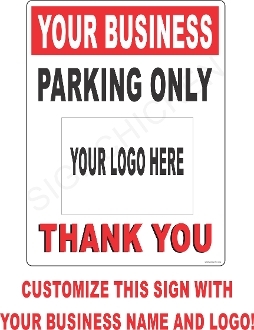 This sign can be customized with you business name and logo to make sure that your customers have a place to park.